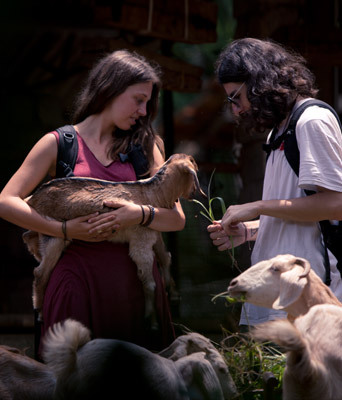 A beautiful combination of greenery and azure skies welcome backpackers to Kumarakom. A walk through God’s garden, the paddy fields of Kumarakom, is an enriching and humbling experience. It renders a feeling of refreshment just as exploring the State’s backyard beverage-toddy fills one with warmth and wonder. This tepid mild alcoholic drink made from the fermented sap of the coconut palm tree is a unique brew. The backwater cruises in Kumarakom offer a distinctive and ravishing experience which will last a lifetime. The net fishing practice in Kerala is truly a delightful sight to behold. Savouring the tastes of marine and freshwater fishes like Karimeen, shrimp, prawns etc. draw one to the ethnic tastes of Kerala. 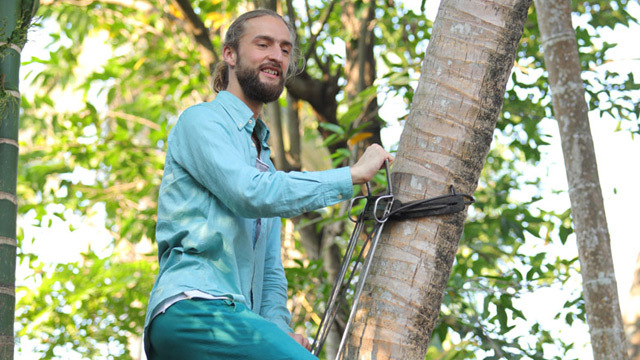 The ultimate crafted beauty of coconut palm weaving amuses the spectator in equal measure. 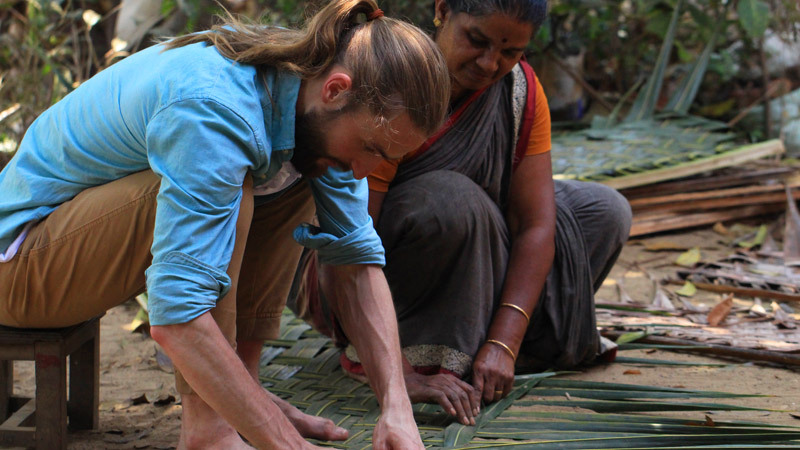 The richly multifaceted craft of coconut frond weaving is one that furnishes an eco-directive effect. Kumarakom offers you the opportunity to watch the making of coir and the way its magical textures and natural properties are given life with the talent of master craftsmen. The process has been perfected to an art and is mastered and passed on through generations. 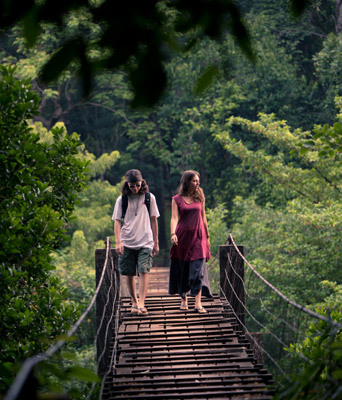 A blend of myriad experiences, Kumarakom truly is a heaven made on earth. The alluring emerald green waters of Vembanad Lake polka-dotted by green lands, Kumarakom in Kottayam is a paradise indeed. This small sleepy hamlet nestled on the banks of the largest freshwater lake in Kerala is copious with destinations such as the backwaters, the Kumarakom Bird Sanctuary which is spread over 14 acres, agriculture, boating and fishing facilities. Enticing tourists from far and wide with its picturesque beauty, Kumarakom was declared as a Special Tourism Zone by the Government of Kerala in 2005 and is currently a major Responsible Tourism destination of the State. May 2007 marked the beginning of RT in Kumarakom. On 16th May 2007, the first destination level meeting was held and the Destination Level Responsible Tourism Committee and three working groups in economic, environmental and social level was formed. A second meeting of the DLRTC was held on 27th Nov 2007 before the official inauguration of RT on 14th March 2008. It was the Kumarakom Grama Panchayat that initiated the implementation of RT at Kumarakom. 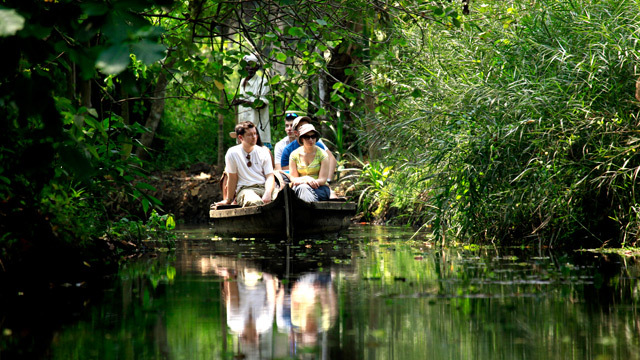 RT in Kumarakom was found to be a grand success more than the other 3 destinations in the State. Personal interviews were conducted at the destination as part of the assessment of RT implementation. RT Coordinator of Kumarakom was the main source of information.